All Globe homes currently listed for sale in Globe as of 04/25/2019 are shown below. You can change the search criteria at any time by pressing the 'Change Search' button below. If you have any questions or you would like more information about any Globe homes for sale or other Globe real estate, please contact us and one of our knowledgeable Globe REALTORS® would be pleased to assist you. "WOW if you want beautiful horse property, seclusion, off grid, and 16.3 AC with 2 new wells, Spring withThe lovely red brick house is 2248 sf with a large open concept Iv, dn, Kitchen, MB suite with gas fireplace,large hall bath for the other 2 bedrooms. 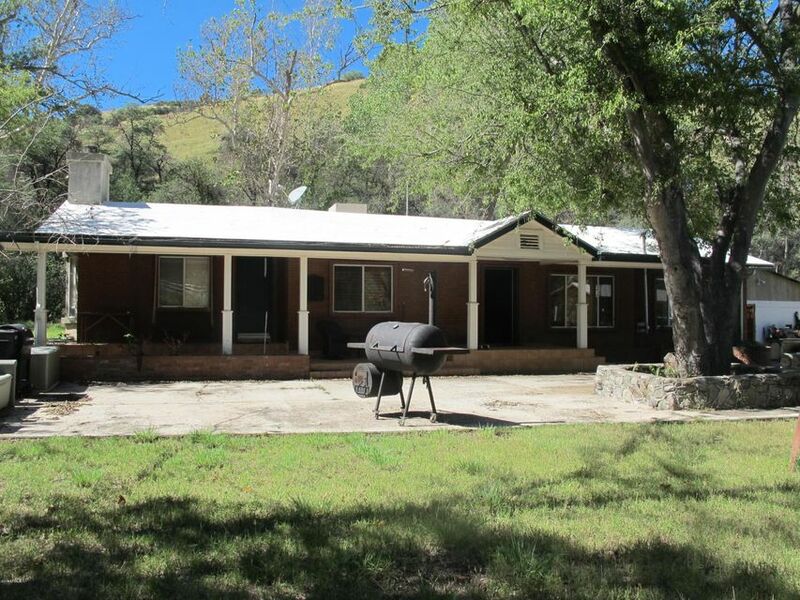 Trees , pastures, pens, covered parking, garage, the land itself is beautiful.Old ranch house is available for fix up.Evap cooling, pellet stove, gas furnaces, Solar with generator, and batteries"
"OFF GRID. Hunter or Prepper opportunity! 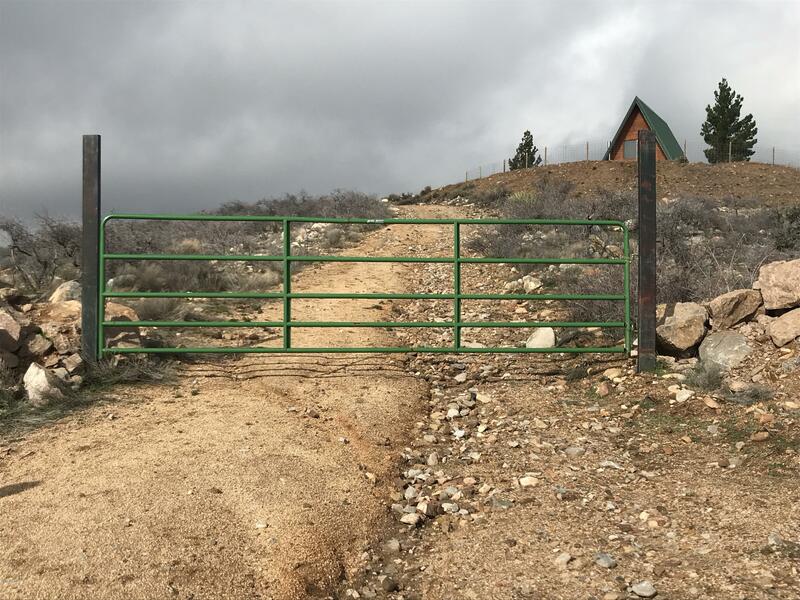 This A Frame log cabin retreat with metal roof sits high on the hill of 9+ acres with INCREDIBLE 360 degree views of El Capitan & Pinal Mountains in Gila County! What's even more impressive is the 80'x10' steal culver underground bunker. This hideaway is powered by solar panels & has a 10000W backup generator. The 1 car garage hosts the private wells 1500 gallon reserve tank, freezer chest & 24 battery system 24v/220. 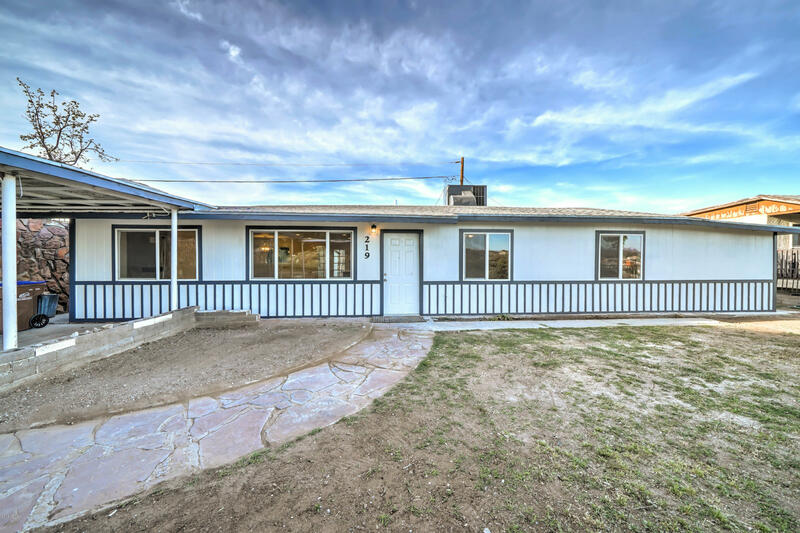 The home has tongue & groove pine wal"
"This newly remodeled, 4 bedroom home in Globe is packed with stunning touches throughout! As you enter, you are welcomed by a wide open living space and modern tiled electric fireplace accent wall. The brand new kitchen includes white shaker style cabinetry, a contemporary backsplash, an island, quartz countertops and black stainless appliances. The guest bathroom includes white cabinetry and quartz countertops with an additional powder vanity. Enjoy brand new carpet in all the bedrooms. 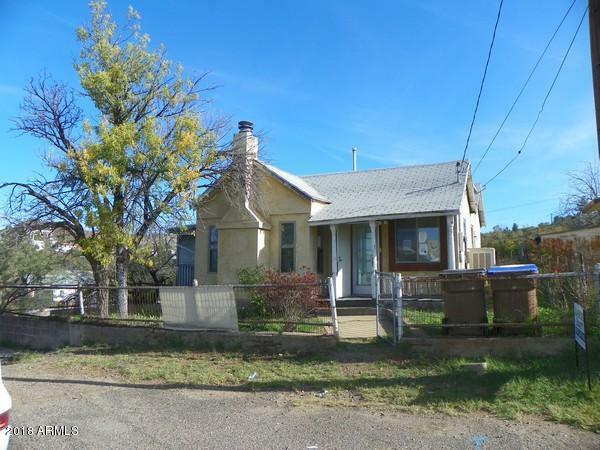 The mas"
"Come and see this awesome property today! This used to be a Real Estate office with a rear living unit. The front unit, with 10' ceilings could either remain as a commercial office or be easily converted back to a 2 bedroom residential unit, which has a roof-top air conditioning and heating unit which will need some repairs for current operation. The rear unit (1 bedroom) living space has a window air conditioning unit and a wall heater, side entry door, a very large bathroom, a full kitchen, sm"
"Make this home yours. 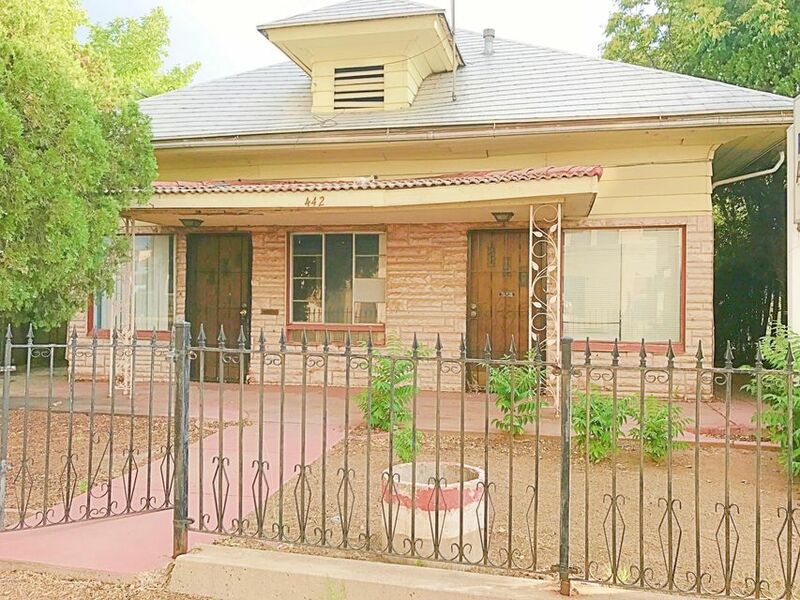 1 bedroom 1 bath just waiting for it's forever family."